0 Comments Published by KL Ocs Kid on Thursday, October 22, 2009 at 4:02 PM. The secret of any great team starts from the back. As Liverpool found out when mounting a title charge in the early 2000’s – you cannot hope to win the title if you have a problematic keeper. Your keeper should have the respect of the rest of the team in their ability. In the first of our series, several of Anfield Online’s contributors have each come up with their own choice for Liverpool’s Greatest Ever Goalkeeper. For me, the greatest goalkeeper in my memory has to be Bruce. Whilst growing up, he could surely not have imagined that one day he would play for England’s most successful team and lift the European Cup. Whilst an outstanding sportsman in several different domains as a boy, Grobbelaar was ultimately to sign up for national service in the Rhodesian Army. In the heat of the live action that he was to endure for two years, football was surely the last thing on his mind. The then second choice keeper for the Vancouver Whitecaps was sent on loan to Crewe Alexandra, where he was to make 24 appearances, during which he was scouted by the Reds, who he would sign for in 1980. He had some huge boots to fill, with the momentous task of replacing Ray Clemence. Bruce not only did that, but went on to become a legend in his own right. As well as being a tremendous shot-stopper, with an athletic, almost gymnastic ability, Grobbelaar was probably most famous for his outlandish character, with his quirky wit making him a fans favourite. On the field, however, Bruce was often seen berating his defence if he felt they weren’t playing at their best, the kind of passion and determination to succeed that made him loved by the Kop. 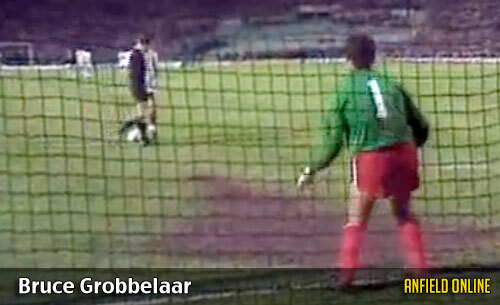 Grobbelaar’s most famous footballing moment is obviously the penalty shoot-out in the 1984 European Cup final. Between chewing on the netting, and his comical, wobbly legged routine, his antics were enough to put off the Roma strikers and help the Reds lift their fourth European trophy in just 8 years. This moment perhaps summed up Grobbelaar, with his mental strength and self confidence at it’s highest. With over 600 matches for the Reds to his name, and a medal cabinet full to bursting point, Grobbelaar is an obvious candidate for the greatest keeper to have played for Liverpool. One of our earliest legends and our longest serving player which span over two decades. (21 years and 52 days to be exact) Over that time he played in a remarkable 467 games for the Reds keeping an impressive 137 clean sheets which, currently, is the third most for any Liverpool keeper. 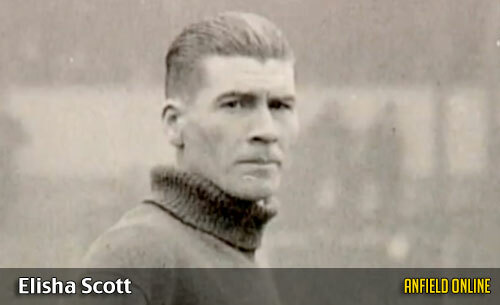 His goalkeeping also helped Liverpool to back-to-back titles in 1922 and 1923, though these were the only pieces of silverware Elisha picked up during his time at Liverpool. There may have been more had his career not be disrupted by World War I. As well as domestic success, he received a few international call ups while at Anfield. He was called up to represent the Republic of Ireland five times and a further twenty-two for his native Northern Ireland. There’s good goalkeepers and there’s great goalkeepers. But there’s very few who come close to Ray Clemence. At just 18 years of age, Bill Shankly brought Clemence to Liverpool from Scunthorpe Utd in June 1967, but it was to be over a year until Clemence made his Liverpool debut. Having to ply his trade in the reserves, waiting to get in ahead of then, Liverpool’s first choice keeper, Tommy Lawrence, Clemence was given his chance in the League Cup against Swansea, September 1968. But it was soon a time of transformation for the reds and Clemence soon cemented his place as number one goalkeeper for the reds. The 70’s were to be an important era in Liverpool’s history and it was Clemence who was to form the solid base for Liverpool to dominate at home and in Europe. Making his league debut away to Nottingham Forest in January 1970, it was from here where it all started for Clemence in the Liverpool goal. Amazingly, Clemence only missed six league matches in the next eleven years. Picking up many league honours along the way and also being the first Liverpool goalkeeper to win the European Cup with the reds, these achievements paid testament to his abilities to keep the door firmly shut in the Liverpool defence. You only have to look at the 1978-79 season where Clemence only conceded just 16 goals. The stats speak for themselves, but there was no denying Clemence was a huge presence at the back for the reds. Where other goalkeepers at the time would be shy of coming away from their line, Clemence wouldn’t hesitate to come out of his comfort zone and put pressure on the opposing strikers. A trend that is common these days. He was amazingly agile for a big man. He could jump, twist and turn in a flash and still pick the ball out of the air, away from an opposing player’s head, with extreme ease. Even with one hand sometimes. His reactions were instant and his awareness was as sharp as a razor. 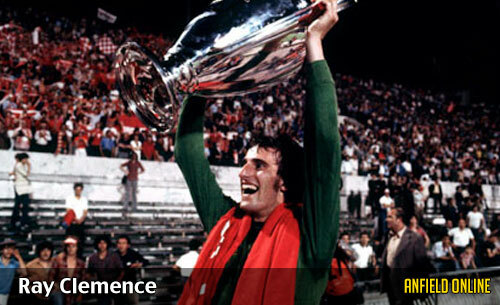 There’s no surprise that when Liverpool were a force at home and in Europe in the 70‘s, Ray Clemence was a big part of the team. A true Liverpool great. It’s still difficult to believe that Liverpool’s present keeper, and in my view our best ever, only cost us £6M when we purchased him in the summer of 2005. After starting his youth career at Barcelona he spent time on loan at Villarreal before making the deal permanent after some excellent displays. It was from there that he was brought to Anfield. His athleticism, strength and reactions have been there for all to see as Rafa began his revolution of turning the reds flaky defence in to the strongest in the country. Soon after his arrival – Liverpool’s goalkeeping records started to change hands at rapid rates. By December he had kept 6 consecutive clean sheets in the Premier League – a new Liverpool record – and then went on to extend it to 8 games. During this time he also broke Liverpool’s all time clean sheet record – going 11 games without beating beaten. Before his first season was out he reached 50 games. In doing so he set a club record for the fewest goals conceded in the first 50. His meagre 29 beating his closest rival – Ray Clemence’s 32. At the end of his first season he was awarded the coveted Golden Glove award. In the season finale of the FA Cup Final, Reina went on to save 3 of West Ham’s 4 spot kicks. Helping Liverpool to lift the FA Cup. The next season he helped the reds to the Champions League final with two impressive performances in both semi-finals against Chelsea. Great saves in the games were only helped when he saved two of Chelsea’s three spot kicks in the second leg penalty shoot-out. At the end of his second season he again won the Golden Glove. 2008 saw a third consecutive golden glove, and he became the fastest Liverpool keeper to keep 50 clean sheets. Doing it in 92 games, three sooner than his closest rival. In 2009 he became the fastest keeper to reach 100 clean sheets – in his 197th game. 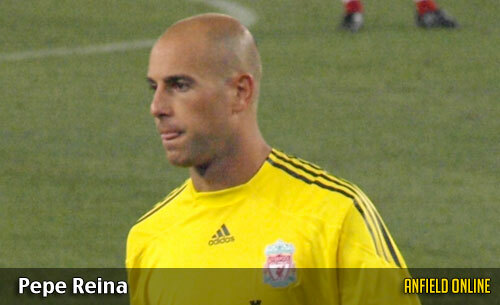 There is a lot to like about Pepe Reina. His enthusiasm, drive and desire are all Liverpool mentalities. Off the pitch he is said to be integral in helping new players settle in – and is one of the true characters of the dressing room. He may not yet have the medal haul of some of his predecessors, thanks mainly to the 10 players in front of him, but his raw natural goalkeeping ability helped Liverpool translate from a poor defensive side in to a much stronger unit in the four years he has been at the club. For me, Reina IS Liverpool’s Greatest ever goalkeeper.